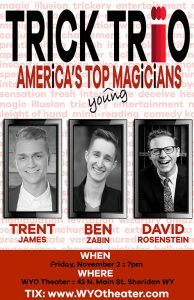 Trick Trio gathers America’s best young magicians to present the entertainment experience that critics have called “The Perfect Show” and “a rare yet incredible blend of Las Vegas style illusion, mind reading, comedy, sleight of hand, and audience participation”. 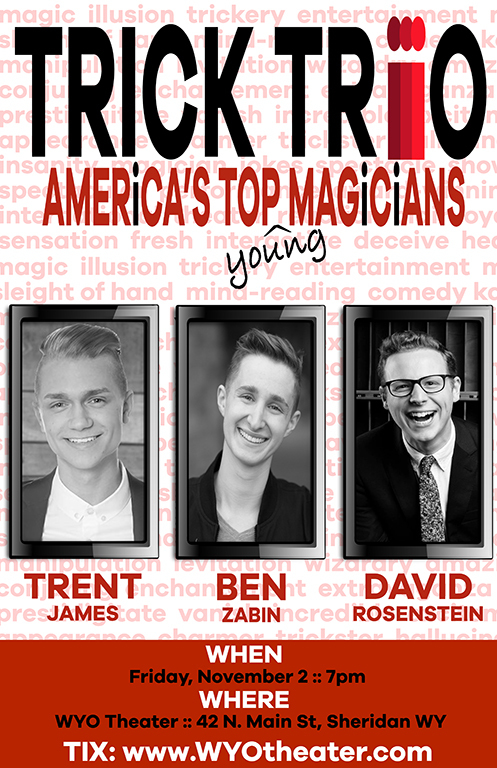 These talented performers shatter magician stereotypes by replacing lame card tricks and rabbits out of hats with fresh, interactive, and upbeat pieces of magic that audiences won’t forget. In this family friendly show, both kids and adults will be featured in the magic!